This weekend Cardiff Times were lucky enough to be invited to Cardiff’s brand new trendy bar Ten Mill Lane for a cocktail fuelled evening. The bar is located on the busy Mill Lane (number 10 funnily enough). It is squeezed in between clubs such as Retros and Soda, but Ten Mill Lane offers a completely different vibe to the normal Cardiff nightlife. Their slogan is ‘You are welcome’ and that is exactly how the staff, venue and other cocktail lovers make you feel. Upon arrival a quick introduction to the energetic manager Jon Saunders was followed by getting comfy in one of their booths and an eyeing up of the menu. Being a poor second year student my taste buds are much more accustomed to Tesco’s Everyday Value vodka than the delights the incredible talented team could conjure up so I was very excited to get started. Our first drink was a refreshing Strawberry Fields, the main ingredients are strawberries and vodka, and it went down delightfully. A sweet cocktail ideal to kick start the evening. Next up was a Rossini which is usually made using strawberries, however we swapped them for raspberries for a slight twist. 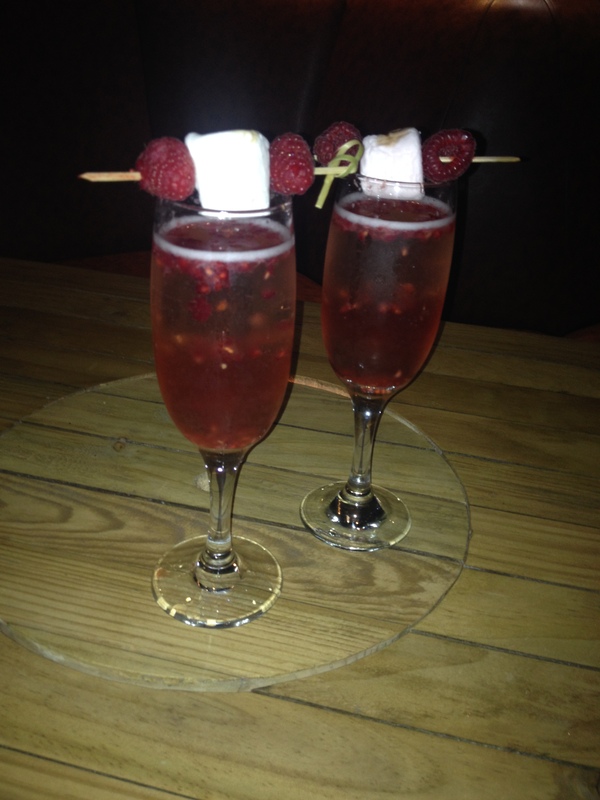 It was a sparkling Prosecco based drink and was topped with brown sugar, chocolate bitters and marshmallows. 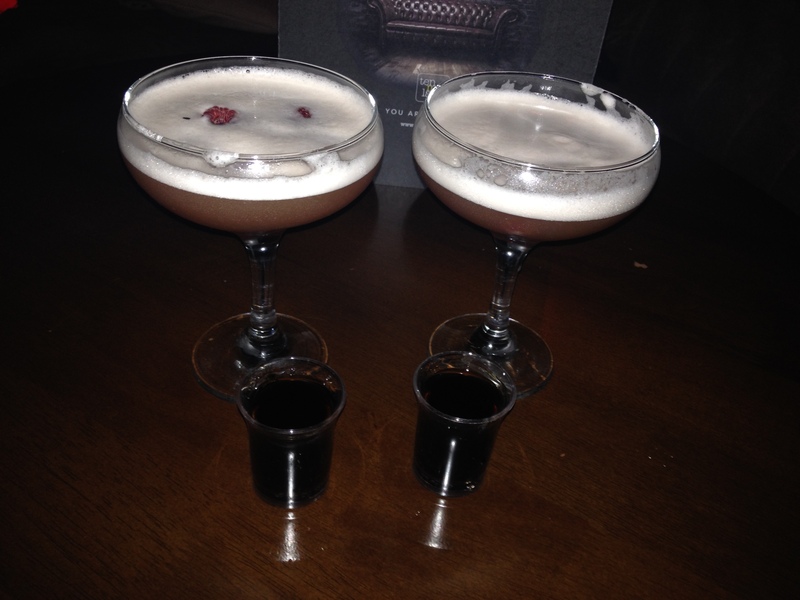 The drinks presentation and taste made me think I was part of the cast of Made in Chelsea attending one of their many parties. 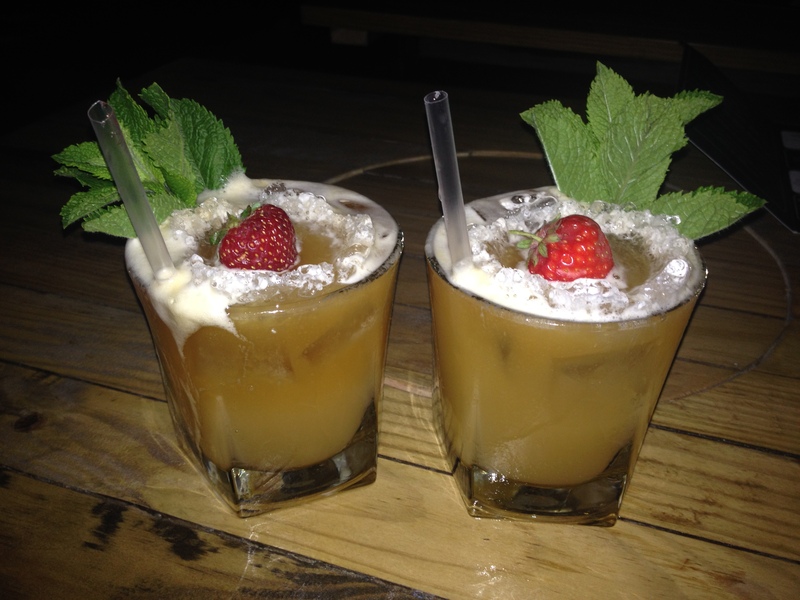 We followed the fizzy delights with a fruity Singapore Sling, an old recipe from1914 which uses 9 different ingredients. 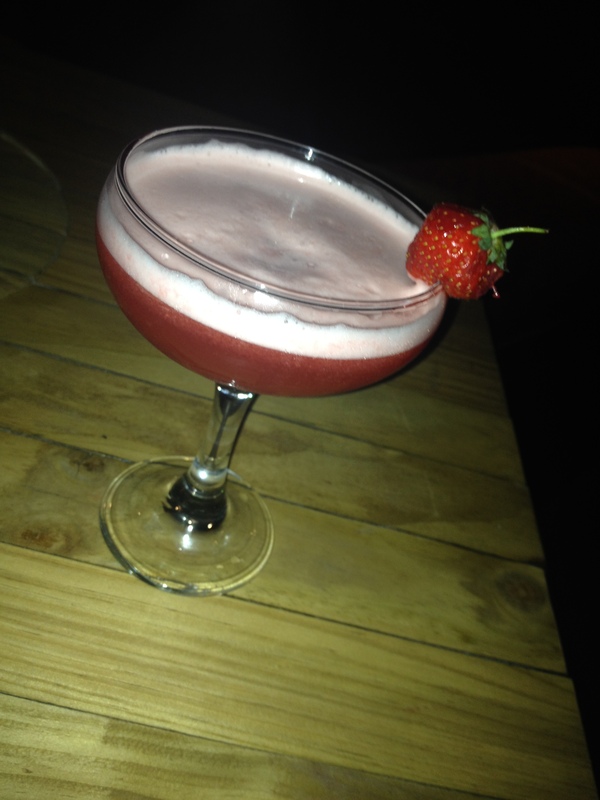 This drink was made especially for us for the first time in 10 Mill Lane history which left me feeling very special! 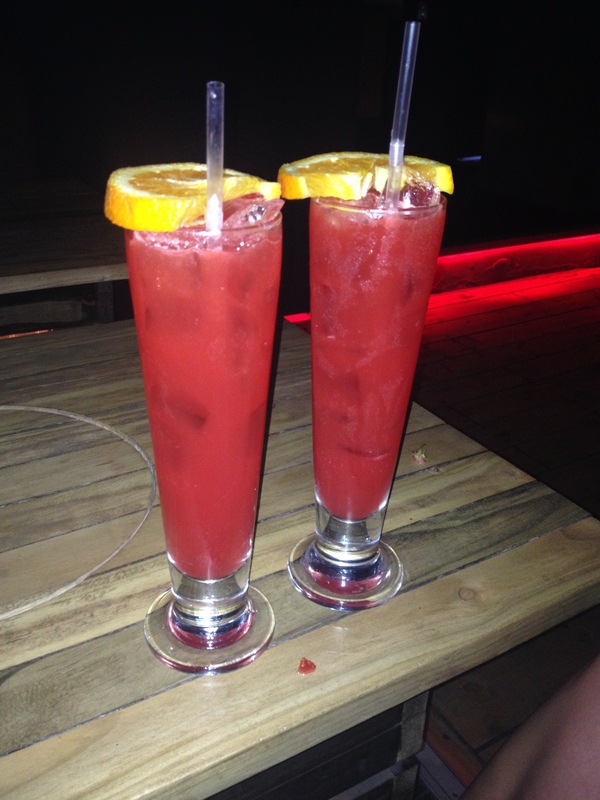 This was my personal favourite drink of the night and I would definitely recommend asking for this fruity number. As we were now onto our fourth drink we were feeling a little more confident and so we asked for something with a bit of kick. The bartender David ‘Fitz’ Adams had an excited look on his face and told us that he was going to make us his signature drink; Fitz’s navy Mai Tai. This drink is the strongest drink on the menu, the only ingredient non-alcoholic was a singular shot of pineapple juice. He informed us that a lot of drinking on his part had gone into creating this unique beverage. It certainly had a kick but the different liquors worked well together to create this creamy concoction that slipped down with ease. It was topped with lashings of whipped cream (my favourite thing in the world), strawberries and mint leaves. Finally we finished with some smooth French Martinis and a shot of a substance I am not sure of, and didn’t really want to ask! Ten Mill Lane is now definitely going to be part of my Cardiff routine. The bar boasts opening times of 5pm till 6am, (one of the only places in Cardiff with a 6am license) and a slick interior. I would advise entering Ten Mill Lane and instead of looking through the menu just tell the friendly team what your personal preferences are. I feel this approach is much more worthwhile, as it would be such a shame to waste the team’s expertise and skills. I found they knew what I wanted more than I did, and I enjoyed the cocktails so much more than I usually do at cocktails bar by letting myself succumb to the bar staff’s knowledge. For guest list and enquires call 02921 15 10 15, or check them out on twitter; @tenmilllane and facebook; ten mill lane. Make sure you visit soon and take advantage of their constant happy hour with 2 for 1 cocktails any time you like, you’d be silly not to! Thank you Ten Mill Lane for the amazing night.